I am so very sad this week. The weather has FINALLY acted nicely (highs in the 60s and 70s!) and I am stuck indoors with a boot on my foot. Since I work from home and must traverse 3 flights of stairs I haven’t left in a few days. So sad. 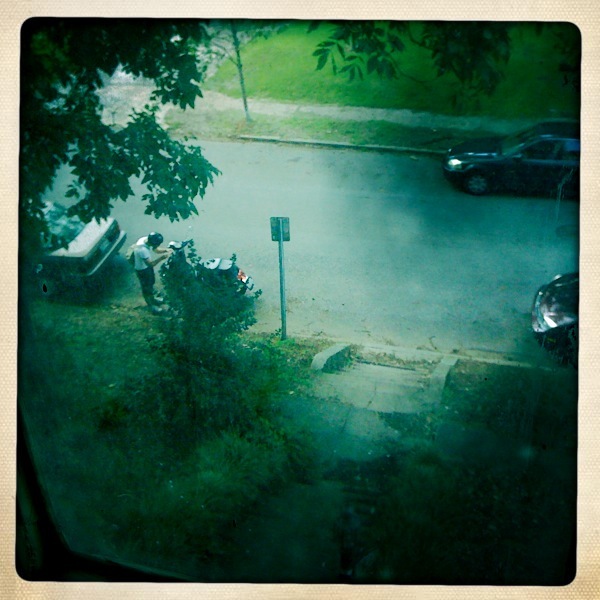 However, my little desk overlooks the street and I have seen a great many more people on bikes this week. That is something to smile about! Have you been riding more this week? Has fall finally shown up for you? Fall is here but we’re still having some amazing days. It’s been perfect for biking of all kinds – cool in the morning, warm in the afternoon and sunny at least half of the time. I really hope this continues all the way through the beginning of November when I ride the Iceman Cometh Challenge race in northern Michigan. A 60 degree, no-rain day for that would be amazing! The trees are just on the cusp of the change to autumn/fall colours here in my valley in Wales. I see the odd tree or part of a tree, with leaves turning to gold, we’ve had alot of rain this week, but the sun is shining gloriously today, so the wooded hillsides look fantastic. The majority of trees still in their summer clothes, and the odd one changing to it’s autumnal dress. I love the changes of the seasons, but dread the ice that may be around the corner. Hope your leg heels quickly. Fall has definitely shown up in Chicago. I’m already riding in gloves and ear muffs! Hope you’re out of that boot soon. You must be going stir crazy.